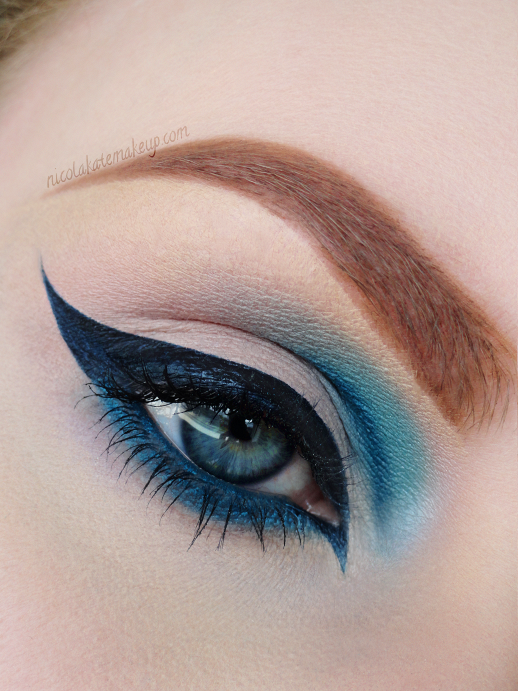 The second look I put together for the Eyeko Visual Eyes Instagram Takeover that I hosted at the weekend, demonstrating their Visual Eyes Liquid Eyeliner in 'Marine', perfectly paired with the brand new Making Eyes Automatic Gel Eyeliner in 'Blue Teal' to create a little twist on the ever-popular feline cat eye. I spoke a little bit more about both of these new products in my previous blog post. The Visual Eyes Eyeliner's can be picked up from Eyeko.com for £15 each, but as far as I'm aware the Making Eye twist-up eyeliner pencils are still currently unavailable, so keep your eye out for those in the near future! No false lashes for this look as I really wanted to show off the gorgeous colour of the liner without anything to get in the way of showing it off! Just a quick update today demonstrating a few more of the new Ultra Rich Pigments from ColourChase Cosmetics showing off some of the more fun and brighter colours that they have to offer on their website, and also featuring another pair of the OPV Human Hair False Lashes, both of which are new brands to me that I've been really enjoying using lately. I love discovering brands that I'm unfamiliar with, and when I end up loving something I tend to go a bit crazy and use them religiously for a while which I think is what is happening here with these pigments... But can you blame me? Look at how gorgeous they are! Today's look was made up of soft and feminine pink-tones, something that I think works perfectly for typical daytime wear during the springtime. I wanted to keep everything light but keep it a bit flirty, but this could easily be toned down even more if you didn't feel like including false lashes. 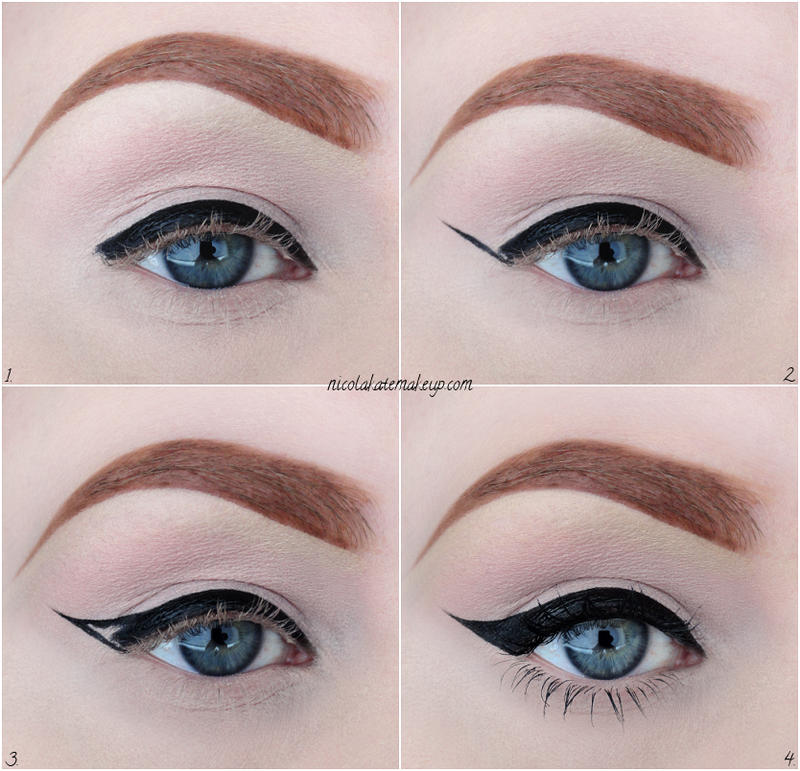 Thinner eyeliner or none at all if you wanted to keep it really fresh also works amazingly well with this. Although I still think it's worth mentioning that rose-toned eyeshadow shades don't always work well on everybody and can sometimes give the appearance of looking ill or sickly if not careful, but thankfully I happen to like how they look on me and I'm a big fan of them - yay! 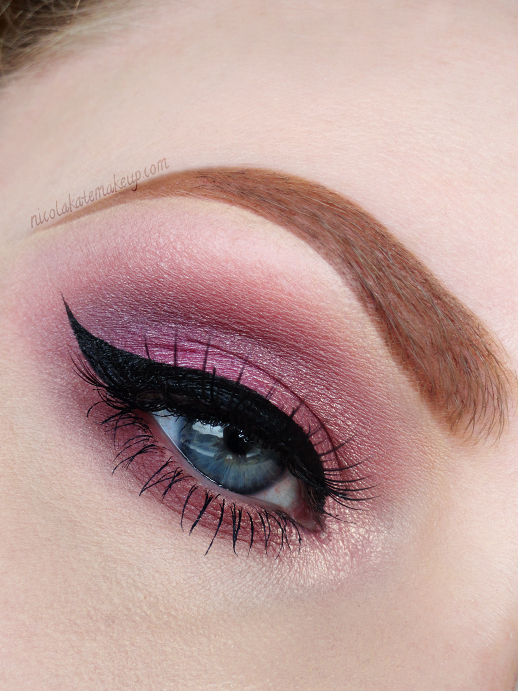 - especially a couple of the new pink ColourChase Cosmetics pigments and the Urban Decay Naked 3 palette which I combined to complete the look below. I was also super excited to try out the new Visual Eyes Liquid Eyeliner from Eyeko for the first time today, something that I can't wait to tell you more about later in the month when I'll be working alongside Eyeko in an Instagram takeover (which I'm so stoked about!) so check back for future posts in which I'll be talking more about them and how I feel about them. Today was also my first time using some of 100% human hair falsies from OPV Lashes as I thought the natural style of this particular pair would work great with this look and I was really happy with the finished result and how light and comfortable they felt throughout the afternoon. I hope you like it as much as I do and I hope everyone's been having a great week so far! Have you ever played around with makeup early in the morning only to remove it again to reapply your makeup for the day? That's becoming a regular thing for me... What a waste of makeup, hah. Yesterday morning I threw together this semi-dramatic look just for fun before removing right after photographing it to apply my typical, boring every day makeup before starting my day. Great logic! 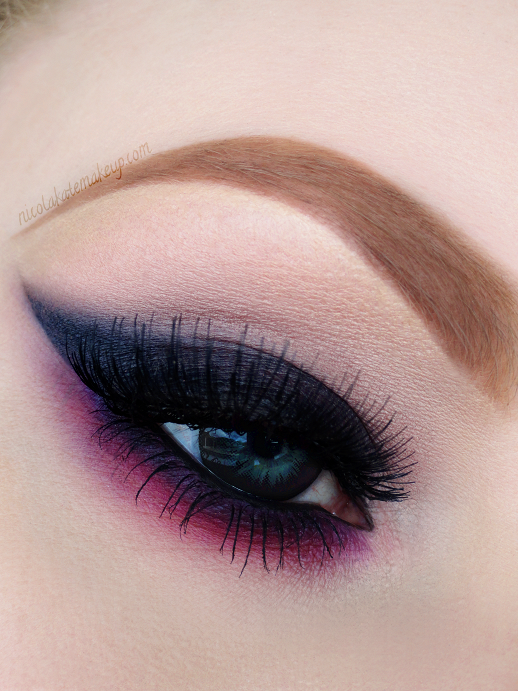 For something that's a little more dramatic, this smoked-out wing with a pop of colour doesn't take much time or require many products (even less if you don't feel like including any colour) but is still bold enough to make a statement. I've always considered makeup looks that require minimal products some of my favourites to check out and create, because not everybody has a tonne of products to work with and I like seeing people show that you can do a lot more than you think with just a few different items. Yesterday was also the first time I decided to wear these lovely black contact lenses from EyeCandys.com and I love love love the extra depth they add to my otherwise normally light blue eyes! A bit of a mish-mash of different brands used to put together today's look but I really wanted to show off one of my favourite pigments from the ColourChase Cosmetics range, which I spoke about in my last update (Don't forget that these pigments are available to purchase online from TOMORROW! [Friday 4th] Yipeeee!) 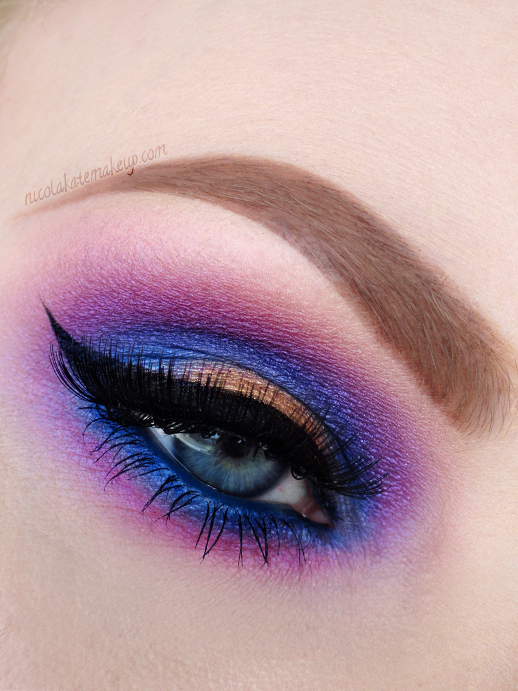 Since my previous look was super bright and dramatic, I wanted to show how versatile this collection of pigments is by doing something more toned down today. Obviously being a sucker for neutrals and admittedly not very brave when it actually comes to wearing colour on my eyes when going on) the rightfully named 'Gorgeous' pigment instantly stole my heart. 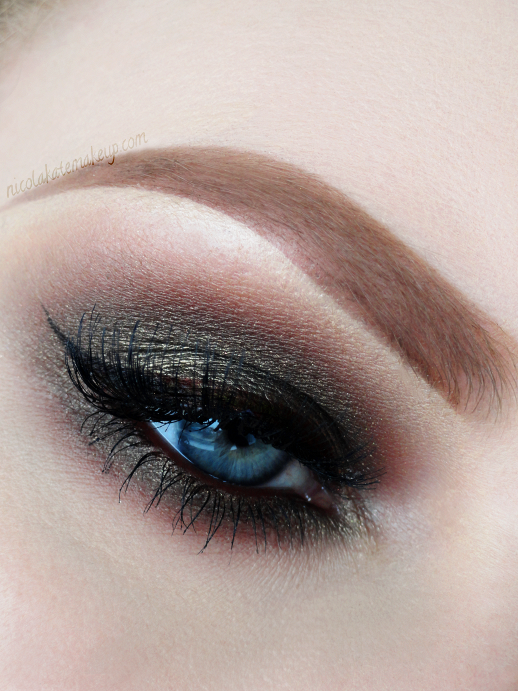 I've always favoured gold and bronze tones over any other neutral shade as they work wonders for making my blue eyes pop. I always find this type of look works better when you pay less attention to being precise for a more grungey effortless result. Really quick and easy, but still nice enough to feel made up.